Flue gas recirculation is used mainly to reduce the NO (nitric oxide) content in the exhaust gases from thermal combustion processes -as the use from industrial burners-, and which is referred to more broadly as NOx. NO, CO (carbon monoxide) and SO2 (sulfur dioxide) are the elements that are heavily involved in today’s environmental problems in many industrialised economies, especially in countries such as China. Smog, acid rain, diseases and deforestation are just some of their effects. NOx is a colourless, odourless gas that is perceived solely through its negative impact on the wellbeing of humans, animals and plants. It combines with moisture to form corrosive nitric acid (HNO3), causing considerable damage to the bronchia, lungs, eyes and skin. The first experimental assays involving flue gas recirculation were held in the early 1980s, when people began to realise that NOx, CO, SO2 and soot were major contributors to pollution in Europe, the USA and other fast-growing industrialised economies. The first cases of environmental pollution were recorded in Belgium (1930), the USA (1948) and the UK (1952), although in this last case the culprit was mainly the burning of household coal. The aim nowadays is to build increasingly more efficient and smaller boilers that do not produce CO, but this reduction in size has meant a higher flame temperature that is detrimental to NOx content. 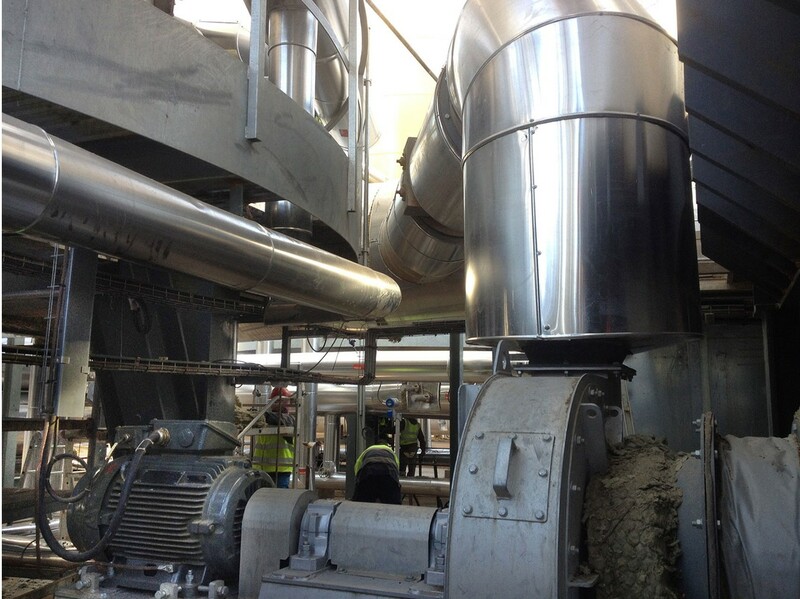 This article sets out to explain how we may counteract the formation of NOx through with the use of a flue gas recirculation system. What happens during combustion as regards NOx? This section begins by identifying the three types of NOx formation in thermal combustion obtained by the “Zeldovich mechanism”. Thermal NOx. 1. 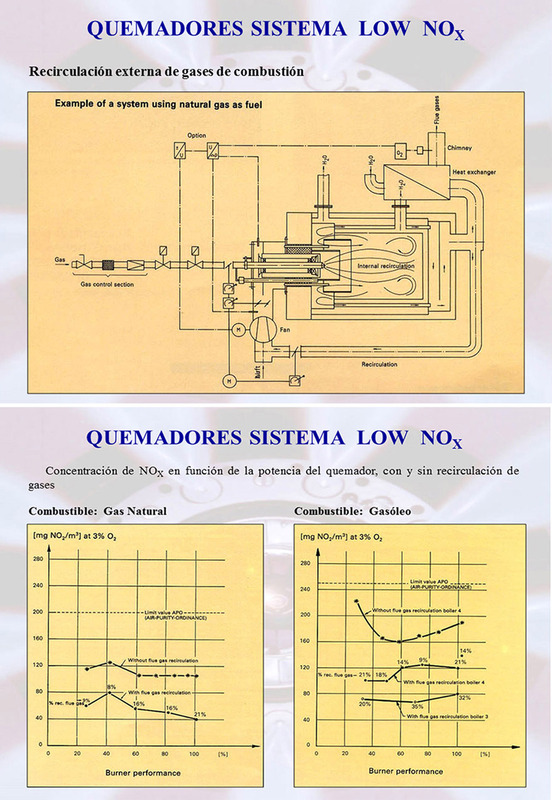 Thermal NOx refers to NOx formed through high temperature oxidation of the diatomic nitrogen found in combustion air. The formation rate is primarily a function of temperature and the residence time of nitrogen at that temperature. As we have already noted, at high temperatures, usually above 1600 °C (2900 °F), molecular nitrogen (N2) and oxygen (O2) in the combustion air disassociate into their atomic states and participate in a series of reactions. Fuel NOx. The major source of NOx production from nitrogen-bearing fuels, such as certain coals and oil, is the conversion of fuel bound nitrogen to NOx during combustion. During combustion, the nitrogen bound in the fuel is released as a free radical and ultimately forms free N2, or NO. Fuel NOx can contribute as much as 50% of total emissions when combusting oil and as much as 80% when combusting coal. Generally speaking, the NOx reaction in the fuel begins at around 800 °C, and does not increase as quickly with a rise in temperature as in the case of thermal NOx. Although the complete mechanism is not fully understood, there are two primary paths of formation. The first involves the oxidation of volatile nitrogen species during the initial stages of combustion. During the release and before the oxidation of the volatiles, nitrogen reacts to form several intermediaries that are then oxidized into NO. If the volatiles evolve into a reducing atmosphere, the nitrogen evolved can readily be made to form nitrogen gas, rather than NOx. The second path involves the combustion of nitrogen contained in the char matrix during the combustion of the char portion of the fuels. This reaction occurs much more slowly than the volatile phase. Only around 20% of the char nitrogen is ultimately emitted as NOx, since much of the NOx that forms during this process is reduced to nitrogen by the char, which is nearly pure carbon. An important matter for the proper choice of fuel, especially in the case of liquid fuels, is the amount of nitrogen content. For gases, such as natural gas, there is no need to consider this element, as it is not present in their combustion. Prompt NOx. This third source is attributed to the reaction of atmospheric nitrogen, N2, with radicals such as C, CH, and CH2 fragments derived from fuel, where this cannot be explained by either the aforementioned thermal or fuel processes. Occurring in the earliest stage of combustion, this results in the formation of fixed species of nitrogen such as NH (nitrogen monohydride), HCN (hydrogen cyanide), H2CN (dihydrogen cyanide) and CN- (cyano radical), which can oxidize to NO. In fuels that contain nitrogen, the incidence of prompt NOx is especially minimal, and it is generally only of interest for the most exacting emission targets. 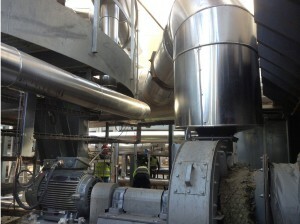 How does flue gas recirculation work? There are two kinds of flue gas recirculation. 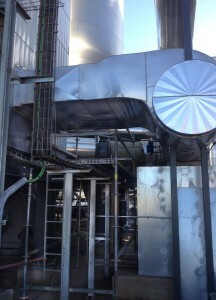 Internal recirculation of flue gases. This occurs inside the burner head, and the combustion gases are fed back over the flame. Each burner nonetheless records an internal flue gas recirculation of between 1% and 3%, which is an insignificant figure. By re-designing the head, many burner manufacturers have managed to raise this figure to 6-12%, which leads to a 25% to 30% reduction in NOx. However, one of the drawbacks of this system is that the flames formed are fairly unstable, which may lead to vibrations in the boilers and make the flame shape difficult to adjust in the furnaces. Some burner manufacturers have even had unpleasant surprises in recent years because several boilers and burners have been damaged by this instability. This is an older method that allows effectively maintaining NOx emissions at a very low level. 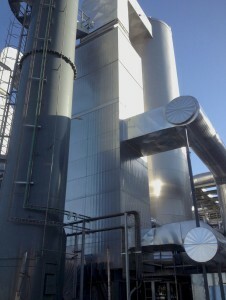 The recirculation of gases should preferably occur before the economiser. This is achieved through the use of a separate gas recirculation fan or a conduit installed at the combustion air fan inlet, creating a kind of Venturi effect by mixing with the actual combustion air. This fan should be designed for the additional amount and higher temperature of flue gases. 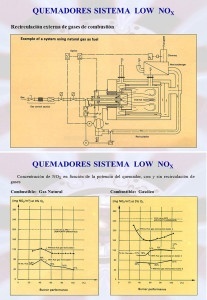 A gas recirculation of 25-30% with this system may easily reduce NOx by 50-60% and even more. 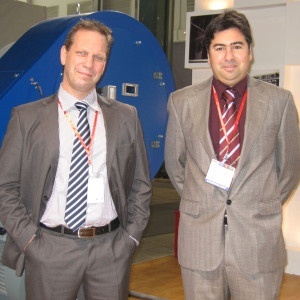 In many of the trials I witnessed personally in the liquid and fuel burner test facility at Deutsche Babcock AG in Germany, it was not unusual to record an 80% reduction in NOx. What happens when flue gases are added to the combustion air? It is generally assumed that NOx is reduced simply in proportion to the amount of flue gases recirculated. Yet this is not the case! When gas is recirculated following combustion, as it is in fact an inert gas, when mixed with the combustion air it blocks the formation of NOx in the process of oxidising fuel molecules. This effect is augmented by the greater heat capacity of the main components in flue gases (carbon dioxide and steam). To put it more simply: the temperature of the flame is reduced and the temperature peaks stop them from having a significant impact on the formation of thermal NOx depending on quantity. A lower flame temperature is equal to less NOx. -The injection of water into the first third of the flame. 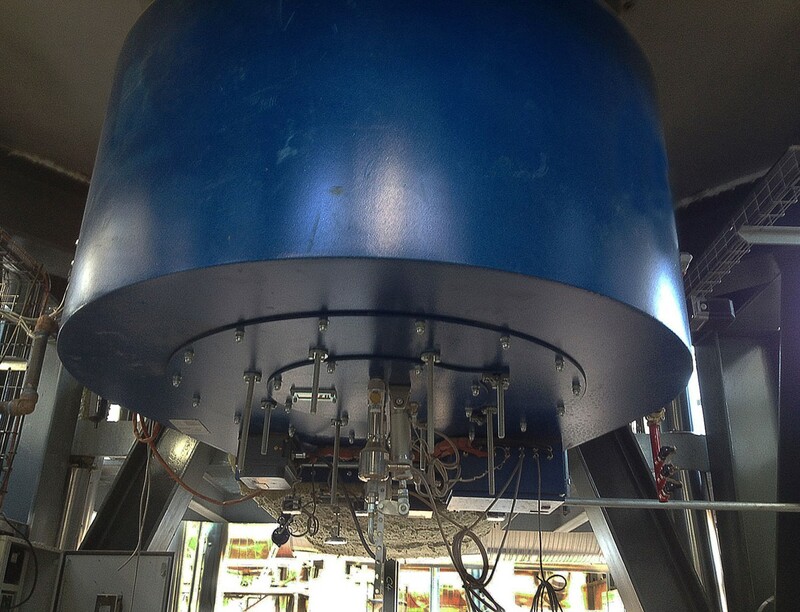 This application has one or more water injectors outside the burner that reduce flame temperature. – The same application with the injection of steam, as steam has a much greater heat capacity than water. If the steam outlet exceeds 180 °C, the steam may also be mixed with the combustion air inside the burner.Depending on the burner, reducing NOx by 15-25% requires approximately 2-5% of the boiler’s total output. For example, a boiler with a specification of 100 t/h needs 2-5 t/h of steam for this reduction. If water is used, a greater amount is required. As things stand, we need to think about the future and the environment world we are going to leave to the next generations. Mother Nature does not need human beings, but human beings need Mother Nature. Our thanks to Wikipedia for its precise description of the systems for reducing thermal, fuel and prompt NOx. We could not have explained it any better.